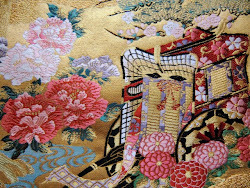 (If you are waiting for my posts of Maiko,please wait until May. 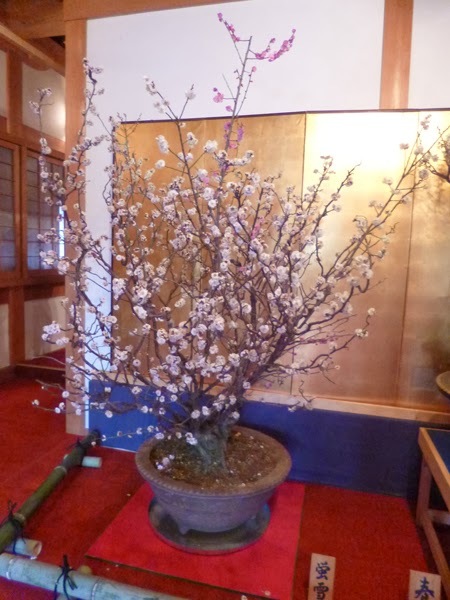 to see "Bonbai Ten" (Japanese apricot trees bonsai exhibition). and was always used as a base of battle by feudal lords. Apricot trees in the castle garden. 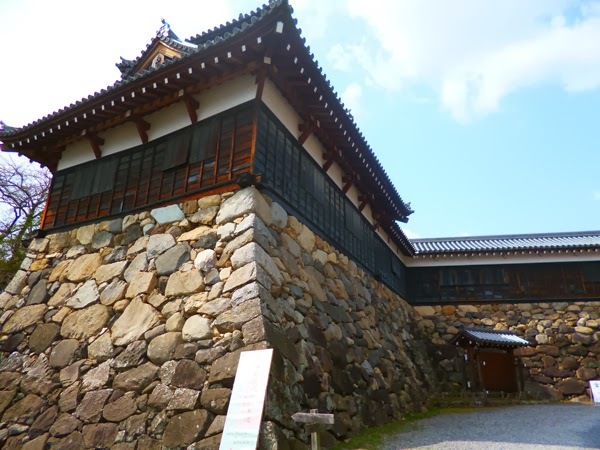 Inside the castle,so many apricot trees bonsai were displayed. 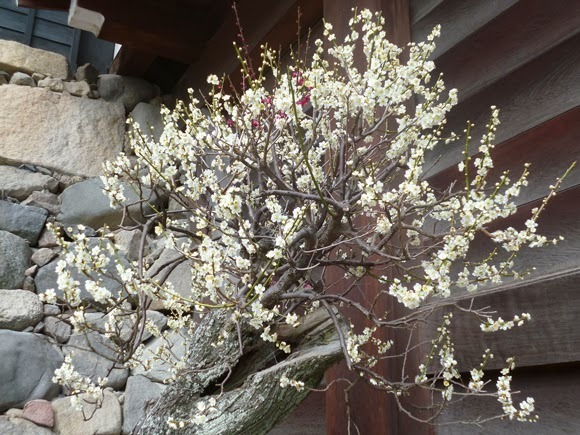 for example,this tree is "Shira-yuki" (White Snow). so I will show other pics in my next post. Please have a wonderful day! What wonderful pictures ! Thank you for posting them. It's interesting to see so many different shapes of bonsai and their individual names too ! 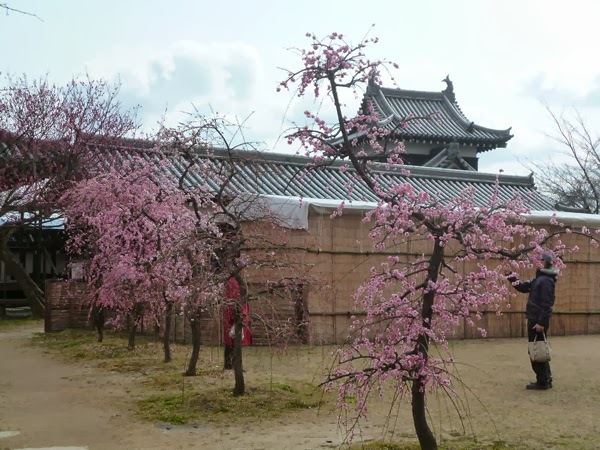 I find the two white blossomed apricot trees near the entrance most impressive. Such beautiful trunks. Indeed,I love them too.They decorate the entrance beautifully and welcome people. 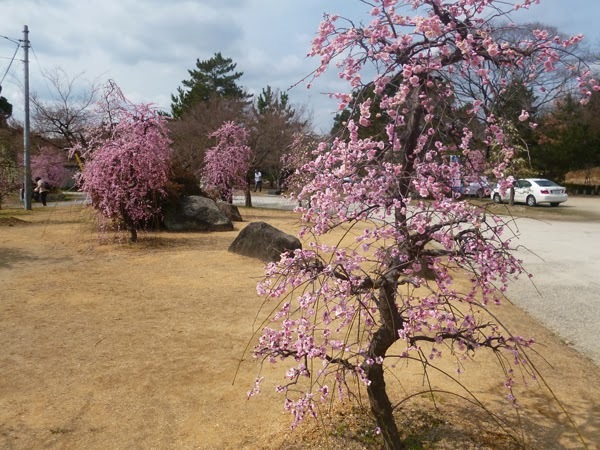 I heard this apricot exhibition is held every year in March here,this is my first visit here. 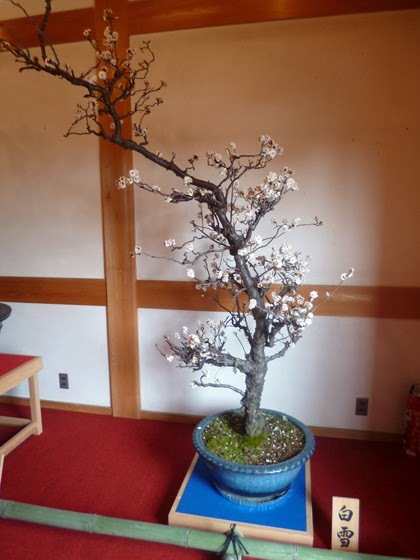 Lovely photos and another bonsai and blossom event to keep in mind. 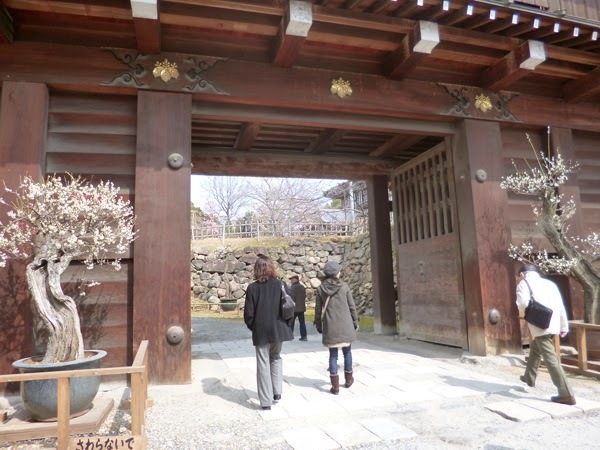 On our last winter visit we were lucky enough to see the Bonbai exhibition in Nagahama which was excellent. 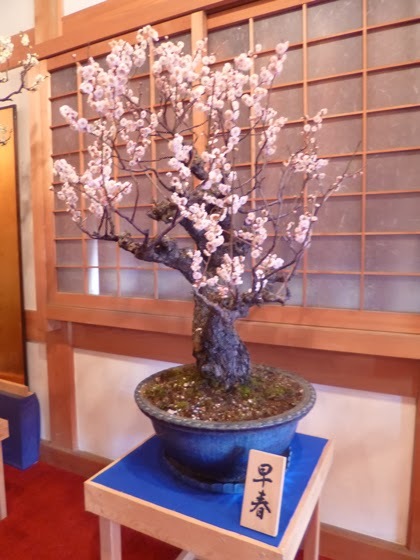 Can you confirm Bonbai is name specifically for the bonsai of an ume or sakura tree?